Expect to see towering mountain peaks, panoramic vistas, moose, deer, elk, bison, pronghorns, bears and wolves! 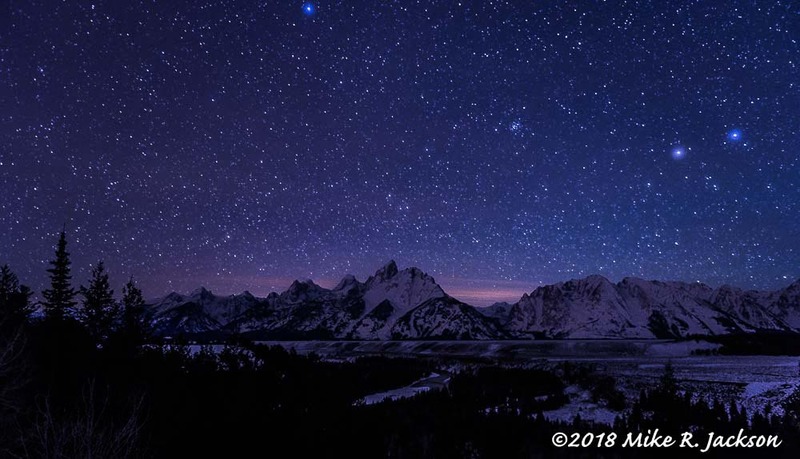 You’ll see all of them on the brochures and guide books, but it can take a bit of luck and a lot of persistence to actually see them.There are days when I am driving around and think to myself that I am glad I don’t have a Best of the Tetons Photo Tour that day. The animals, aside from a few ravens or magpies, are simply not visible. 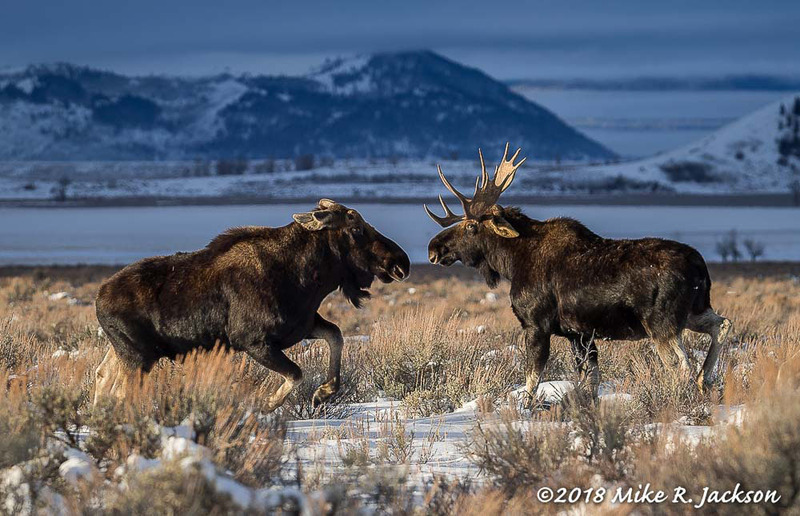 It can be perplexing—even for someone who has lived here over 30 years!If you scroll through the years of images and pages on Best of the Tetons, it is evident the animals are here. The magnificent mountain range on the west side of the valley never moves, but at times I might not seem them for a week to ten days. Sometimes it feels like Mother Nature is pushing back! So, what do you do when things seem slow?Continue reading "When Things Seem Slow in GTNP: Options and Suggestions"
Today, on my 64th birthday, I jumped up at 3:30 am. I looked out my windows to see stars and clear skies. A Winter storm and cloudy skies are on the horizon. The executive decision had to be made. I headed North to Snake River Overlook. I began shooting at 4:50 am under clear skies and abundant stars. Temperatures ranged from 0°F to -2°F, made a bit colder feeling by the light breeze.For the night shots, I used my Nikon D5 with ISO settings ranging from 2500 to 6000 using a Nikon 24-70 lens. Midway through the “blue light” period, I switched over to a Nikon D850 body. 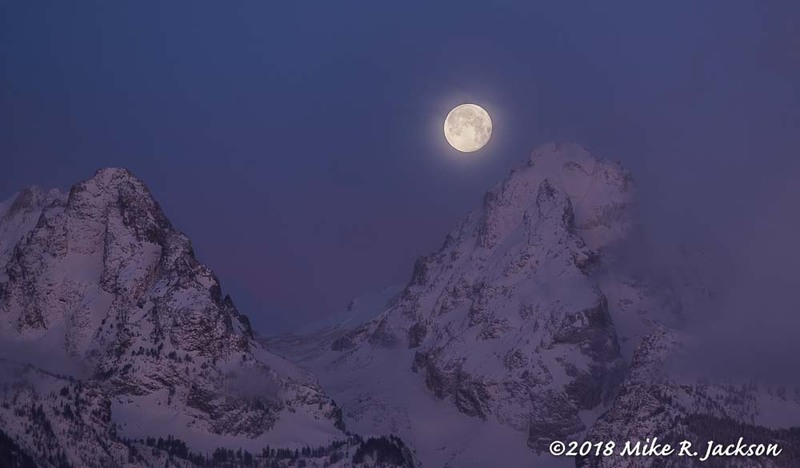 Continue reading "Snake River Overlook Winter Stars and Sunrise :"
Super Moon: Moon setting over the Teton Range. I checked the weather report last night, suggesting it would be cloudy. When I saw the moon, I headed out.Continue reading "February 2018 Daily Journal for JH & GTNP"